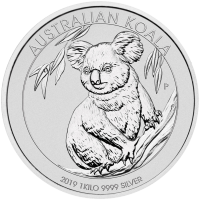 Order your 1 kg 2019 Australian Koala silver coin from our online shop today and we’ll treat you to the best price online! This magnificent treasure forms part of the Perth Mint’s highly acclaimed Australian Koala coin series, which, with each year’s ever changing face, features this adorable Aussie indigene with artful flourish. 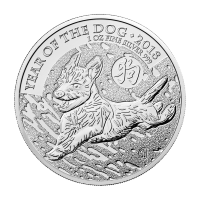 The coin’s reverse features an charming rendering of this marsupial in his natural habitat, traversing his eucalyptus tree domain, no doubt getting ready to stop for some leafy lunch. This image is encapsulated by a frame, which also bears the name of this coin series and the coin’s weight, purity and year of issue. 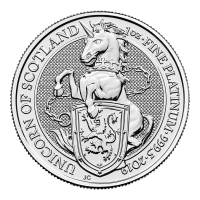 The obverse design is a detailed likeness of Elizabeth II, skilfully engraved by Jody Clark. 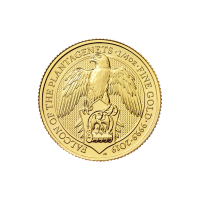 Also visible on the obverse, the queen’s name, the coin’s denomination and country of origin. Australia is a haven for several beloved marsupials, which are entirely unique to the land down under, including wombats and, of course, kangaroos. The 1 kg 2019 Australian Koala silver coin is the ultimate way to enrich your portfolio and celebrate the wonder of nature that is Australia! 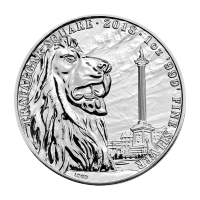 1 kg | kilo 2019 Australian Koala Silver Coin Order your 1 kg 2019 Australian Koala silver coin from our online shop today and we’ll treat you to the best price online! This magnificent treasure forms part of the Perth Mint’s highly acclaimed Australian Koala coin series, which, with each year’s ever changing face, features this adorable Aussie indigene with artful flourish. 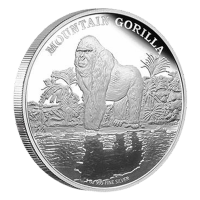 The coin’s reverse features an charming rendering of this marsupial in his natural habitat, traversing his eucalyptus tree domain, no doubt getting ready to stop for some leafy lunch. 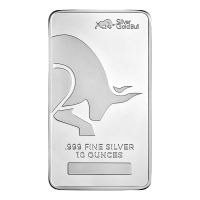 This image is encapsulated by a frame, which also bears the name of this coin series and the coin’s weight, purity and year of issue. 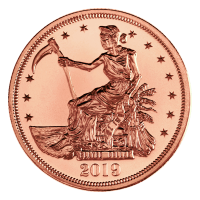 The obverse design is a detailed likeness of Elizabeth II, skilfully engraved by Jody Clark. 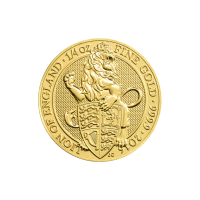 Also visible on the obverse, the queen’s name, the coin’s denomination and country of origin. Australia is a haven for several beloved marsupials, which are entirely unique to the land down under, including wombats and, of course, kangaroos. The 1 kg 2019 Australian Koala silver coin is the ultimate way to enrich your portfolio and celebrate the wonder of nature that is Australia!